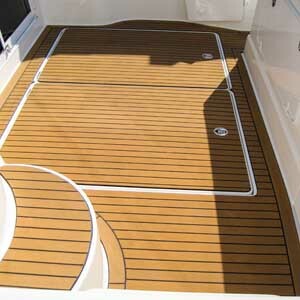 Flexiteek is an extremely durable walking surface that stands up to all weather conditions, does not turn grey, is slip-resistant and improves the appearance of your boat. 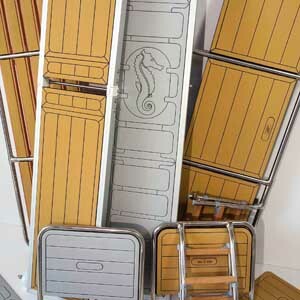 With Flexiteek accessories you can achieve everything you desire for a perfect look of your boat. Battens, edge finishes, U-profiles and more. 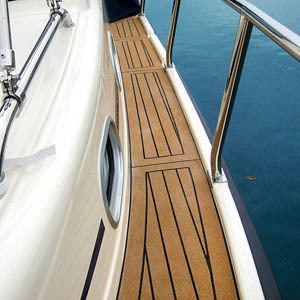 P deck is made from synthetic rubber foam and suitable for use in outdoor spaces as well as outdoors. It is odourless and guarantees an excellent thermal and acoustic insulation. Corkline offers an entirely new dimension and is suitable for outdoor use. Thanks to its high quality grain cork, Corkline preserves the colourfulness and warmth of natural materials combined with exceptional technical properties.